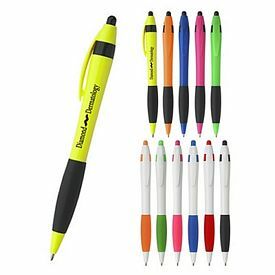 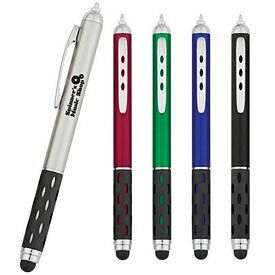 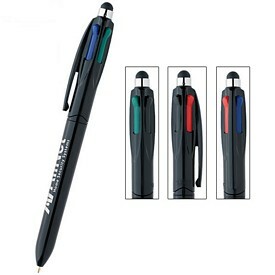 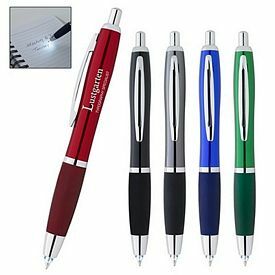 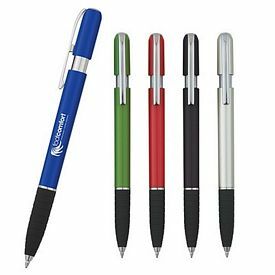 Everyone can make use of promotional writing pens and are purchased by customers from time to time. 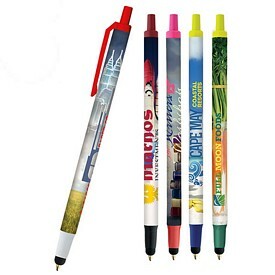 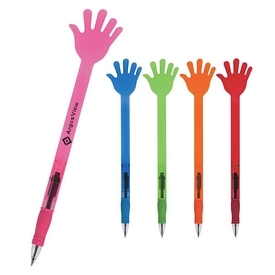 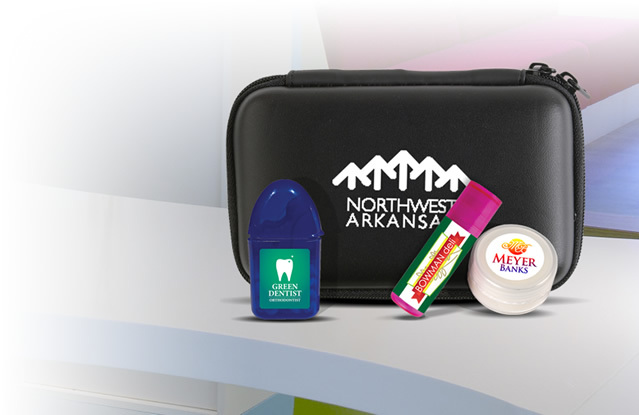 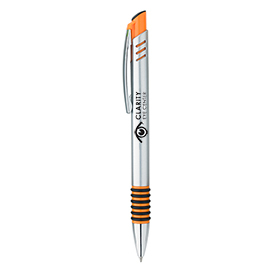 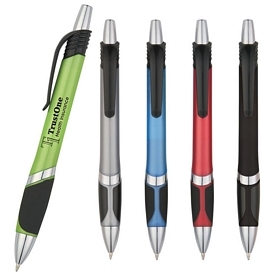 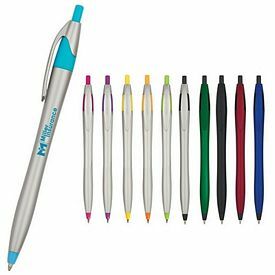 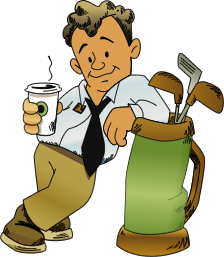 Your company has a good shot at advertising itself with the use of promotional pens. 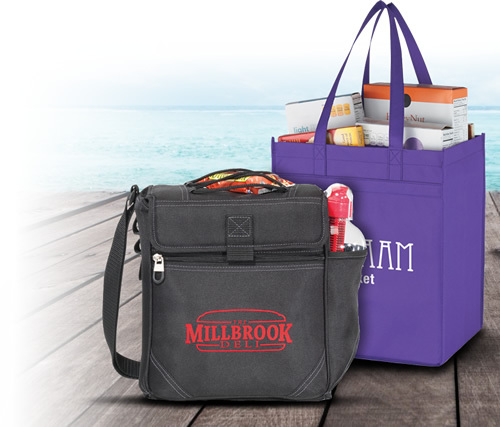 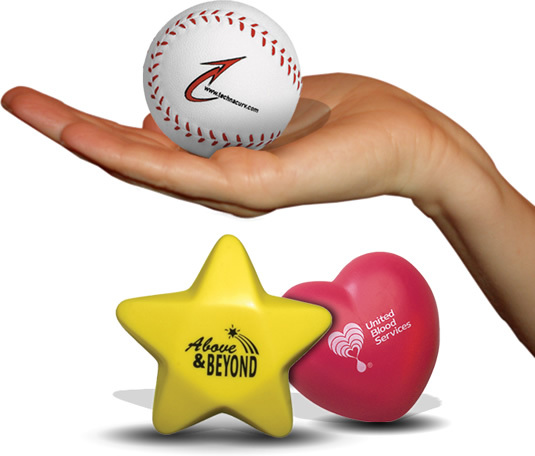 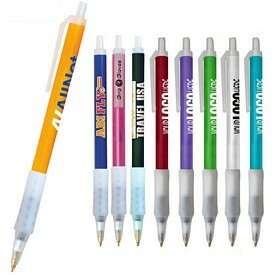 If your company name and logo is imprinted, then many people will be able to remember you clearly. 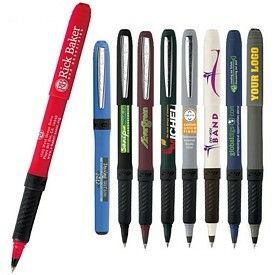 Customized pens are circulated and passed on between people and can target a lot of customers at once. 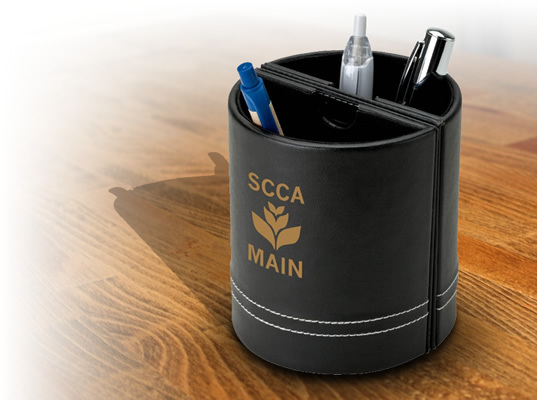 Students, professionals, and employees can make use of it on a daily basis and display your company details to everyone in the area. 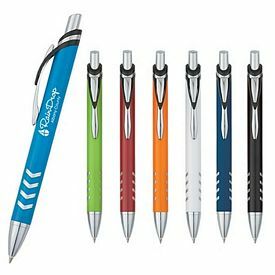 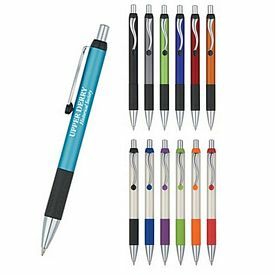 The custom logo pens are also very affordable and easy to distribute at various marketing events, tradeshows, exhibitions, and corporate parties. 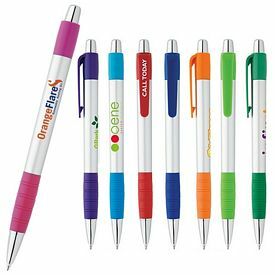 Mailing customized pens to distant locations are also a viable method to reach out to large and diverse customer groups. 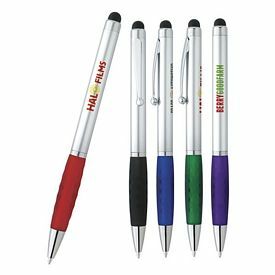 Since customized imprinted pens are a popular option for advertising your company, choosing out of thousand types of pens and design can be a difficult task. 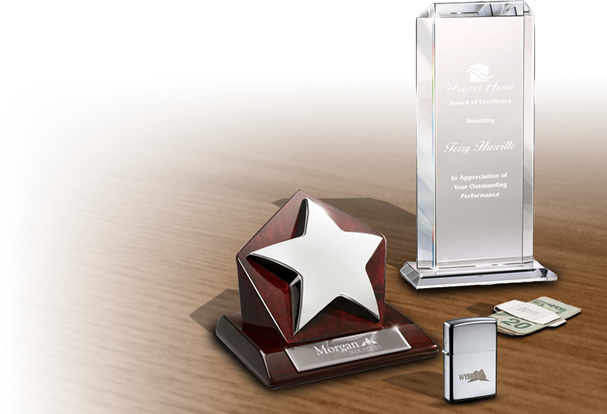 To make things easier, plan out your budget properly so that you can narrow down your options. 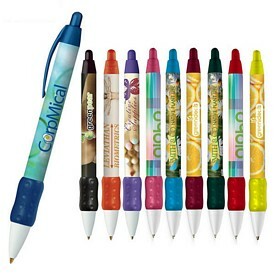 It is advisable to choose products according to the tastes and preferences of your target customers. 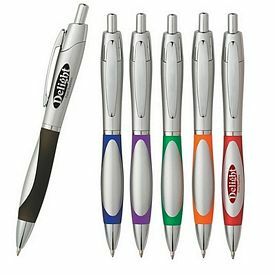 For example, if you want to distribute custom executive pens among corporate workers and professionals, select custom metal pens or promotional aluminum pens. 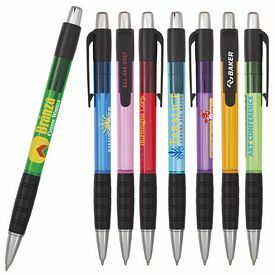 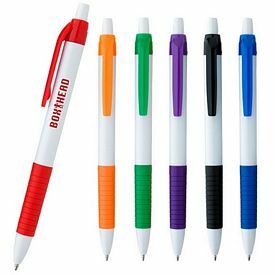 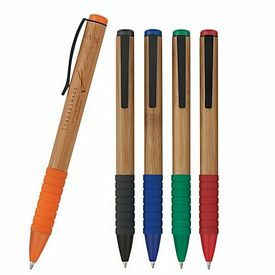 If you target a large group of kids or school children, you may have to choose simpler and more colorful promotional pens. 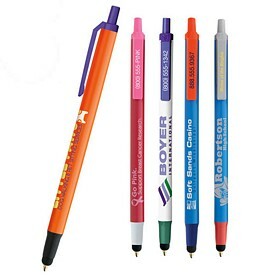 Remember that there are many companies in the market who distribute promotional logo pens. 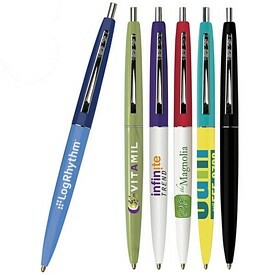 You should make sure that the customized logo pen stands out and creates an impression on people. 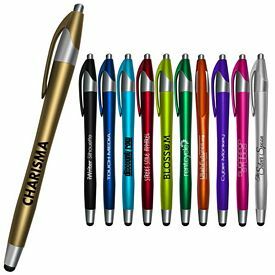 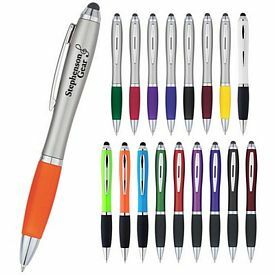 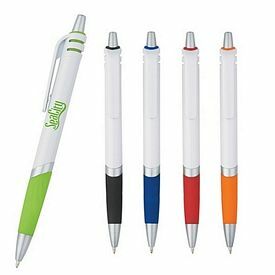 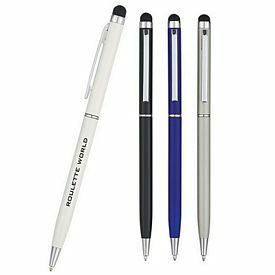 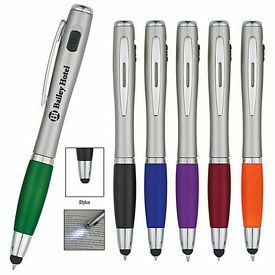 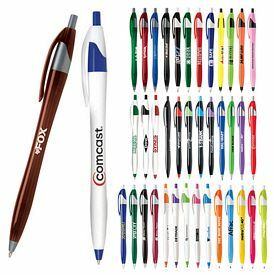 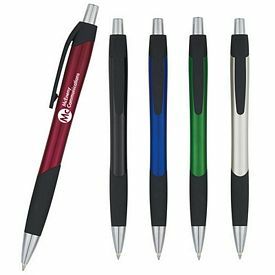 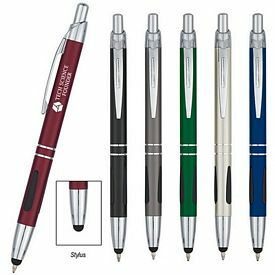 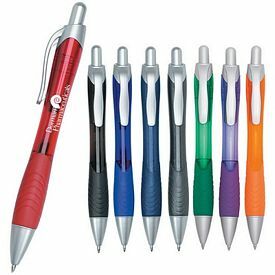 Promotional logo pens are a small representation of your company and its efficiency and quality will be associated with what you actually offer. 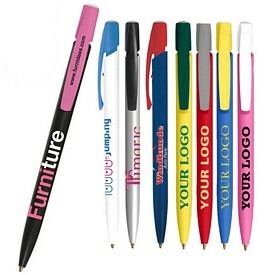 Branded pens are a very important and necessary investment so make the most out of it. 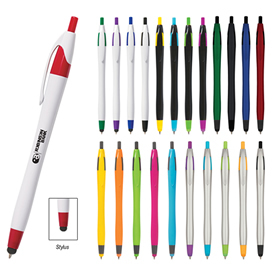 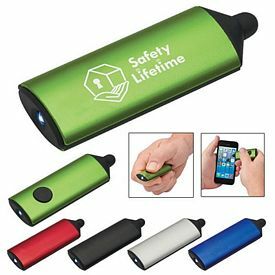 We offer affordable wholesale prices on a minimum order quantity for each promo pen. 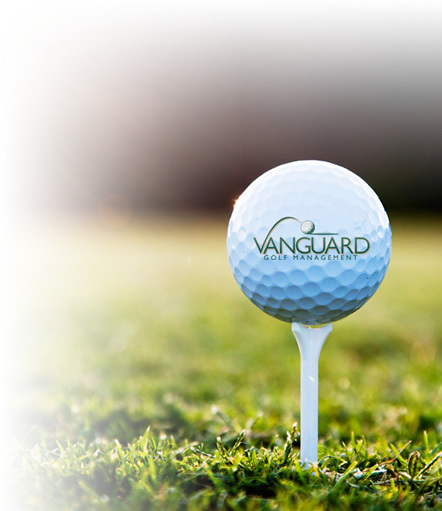 You should also look out for our 24- hour free rush offers. 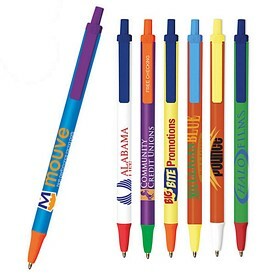 We have endless options of promotional pens to choose from. 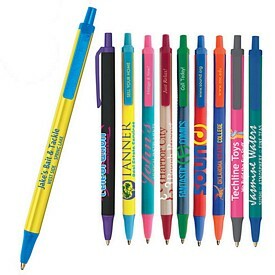 There are customized pens to suit the matured audience, like the custom Basics range of twist and click pens. 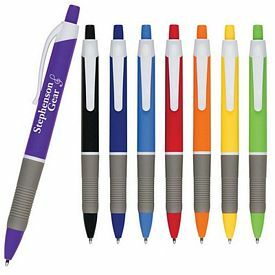 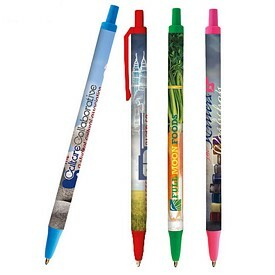 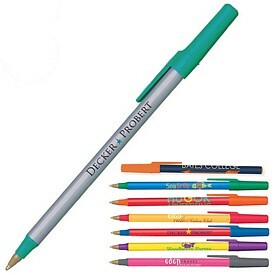 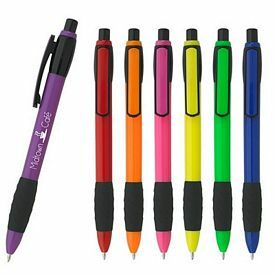 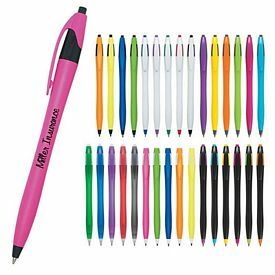 We have thin colorful plastic pens that appeal to the casual audience, like the promo BIC range. 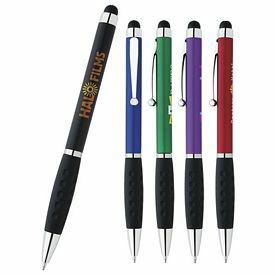 There are other custom novelty pens that include wooden pens, flashlight pens, laser pointer pens, keychain pens and bottle opener pens. 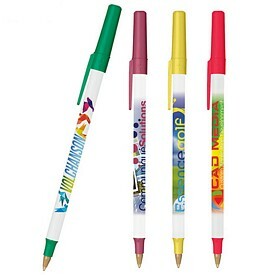 The younger audience is bound to love the customized Chatty range of pens that have an attached toy head that talks. 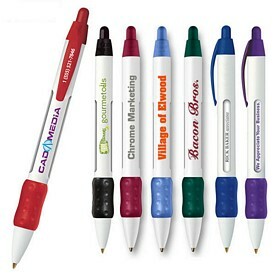 So don’t waste your time in looking for an advertising medium to support your company name and just start ordering.